"More female students in computer science. Who cares?" The Helmut Veith Stipend is dedicated to the memory of an outstanding computer scientist who worked in the fields of logic in computer science, computer-aided verification, software engineering, and computer security. The stipend is awarded annually to excellent female students who pursue a master’s program taught in English at TU Wien (see eligibility details). 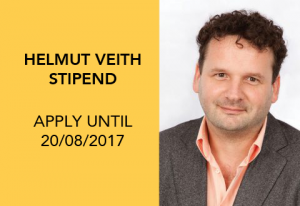 The application deadline for this year’s Helmut Veith Stipend is August 20, 2017.